I’ve never thought I’d be a hostess for an event – no reason why… maybe I thought no one will participate in the event I host? Haha what a weird me I know. But being a hostess for this Choux Party has really motivated me to plan ahead what I want to bake for the party and I’m really excited to see what you guys have to contribute to the party! So let me kick start the Choux Party with some chocolatey cream puffs! 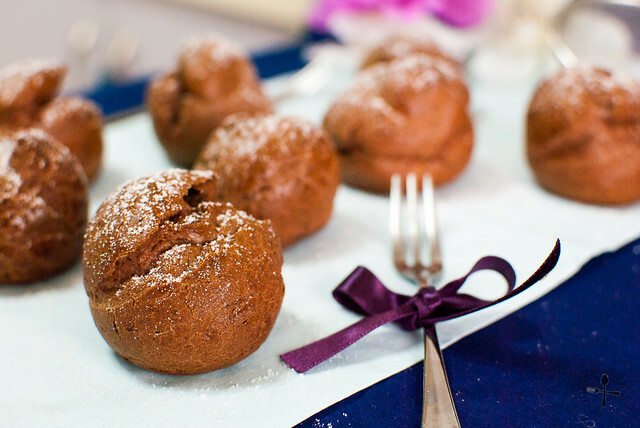 These cream puffs follow the basic choux recipe with a bit of flour swapped with cocoa powder. 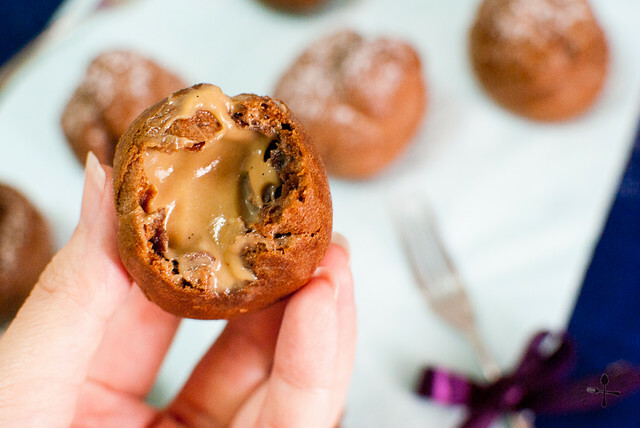 The puff is not very chocolatey on its own, so I filled them with a milk chocolate pastry cream. If I had topped it off with a layer of chocolate ganache on top, they would have became triple chocolate cream puffs! But… I stopped at double – purely because I was too lazy to whip up the ganache, haha! They are a decadent and chocolatey treat and I extra love them when they are eaten straight from the refrigerator – cold and chocolatey! Chocolate choux ready to be baked! Chocolate pastry cream ready! I’m submitting this recipe to Aspiring Bakers #34: Choux Party – hosted by me! The roundup for this event will be held on 1 September 2013! 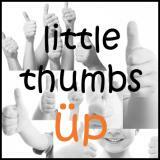 In addition, I’m also submitting this to Little Thumbs Up, organised by Doreen from my little favourite DIY and Zoe from Bake for Happy Kids. This month’s theme is Egg and is hosted by Yen from Eat Your Heart Out. Do check out HERE for the submissions for this event! Sift flour and cocoa powder onto a large parchment paper. 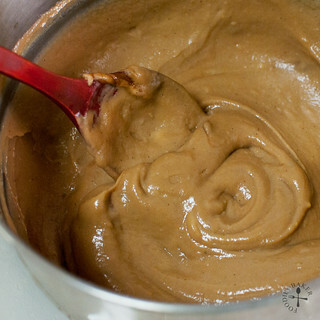 Working quickly, add in all the flour-cocoa at once, turn off the heat and stir quickly with the wooden spoon to mix in all the flour. Bake the puffs for 20 minutes at 200 degrees Celsius. Reduce the heat to 175 degrees Celsius and bake for another 20 - 25 minutes until the puff is golden brown and well-risen. During baking, no matter how excited you are, do not open the oven to check them as it will cause them to deflate and it'll be the worse thing to happen ever. decadent cream puffs!! oh jasline..i need to look for ideas now..and i saw that choux photo on your sidebar..ice cream? hey, not a bad idea hor? Thank you Lena! Weather very hot these days, ice cream puffs will surely be a hit with everyone! 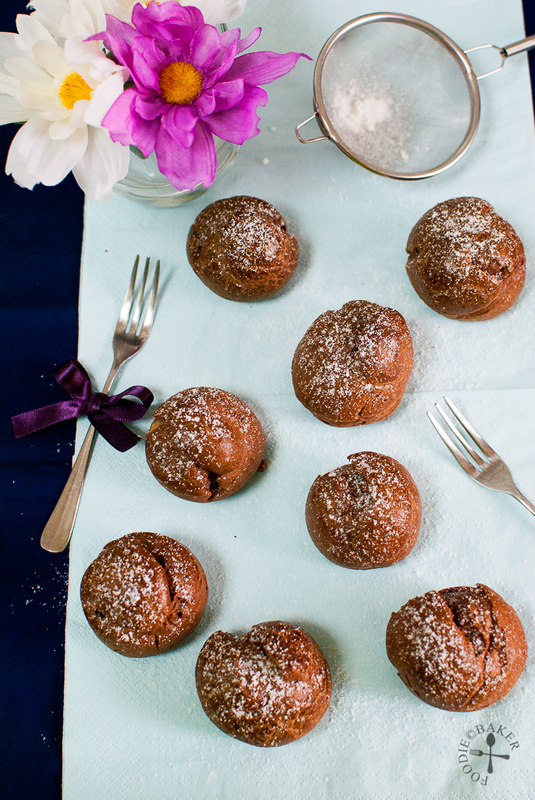 Your chocolate puff pastries are so good! I wish I could buy a box off you. Awww you’re so sweet Mich! Thank you very much! 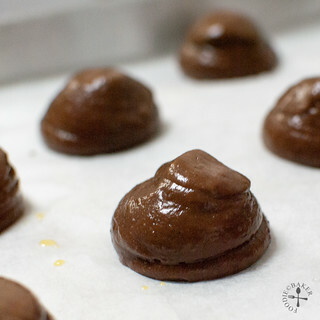 Seeing your delicious chocolate cream puffs, I must bake some choux pastry this weekend for your AB event!!! Hi Jasline, excellent post! Your chocolatey choux pastry look awesome, love the filling, very luscious. Thanks for sharing your recipe and tips. Hi Amelia, thank you! Hope you will be able to join me in the choux party! Have a great week ahead! Big Yumms! I Like Big Time!